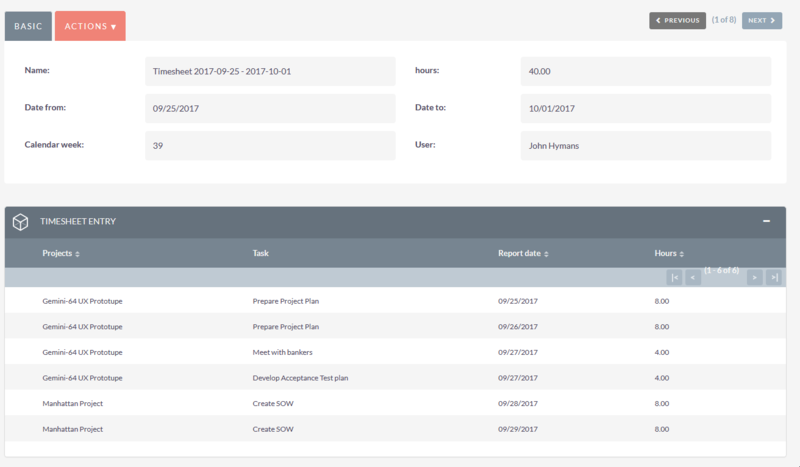 Easily fill out your work time and track project costs. With all your project spent time information in one place, you'll be a more organized and efficient business owner. Simple yet powerful addon for businesses and companies who look for better control on how their resources spend time on projects. Are you an Organisation who bill customers based on hourly work ? this addon is for you. It enables tracking time against project tasks, quickly include entire timesheets with invoices, generate reports and PDFs. 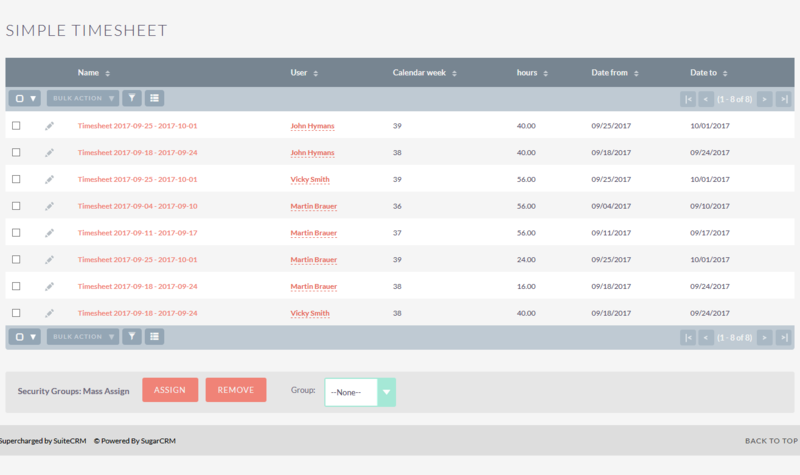 A nice-looking and user-friendly interface with a weekly timesheet allows users to enter time quickly. 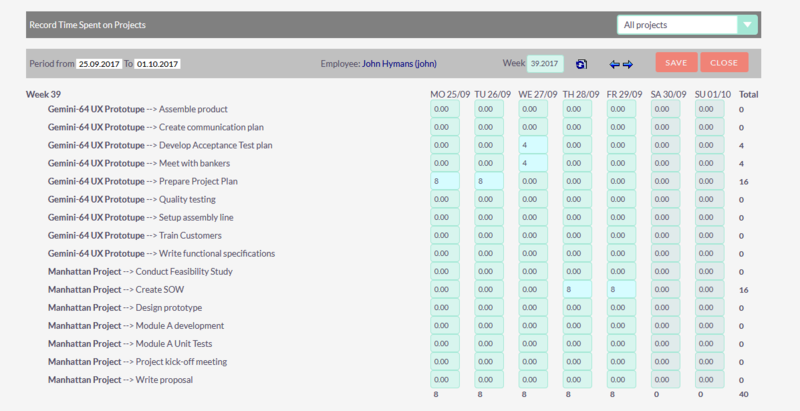 Managers can view and fill out timesheets for other users. Generate professional looking Timesheets in PDF format for easily print, e-mail or save. Just like any other module, Simple Timesheet lists all entered records (timesheets) and enables searching, filtering, sorting and exporting to csv. With just a view clicks get the report of how much time has been reported by a particular user or in a specific time period. Every timesheet has a dedicated subpanel, which includes all the details (project/project task, report date, calendar week, spent time). Just right from the invoice, include entire user timesheet(s) with just one click. Time tracking in your SuiteCRM made easy. Get a clear view on spent time and money with detailed reports. Create highly productive teams and run business better with Simple Timesheet.